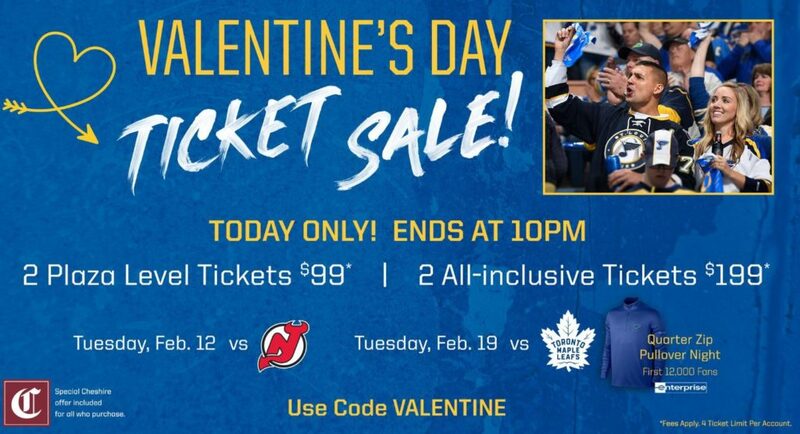 Today only, the St. Louis Blues are hosting a Valentine’s Day Ticket Sale where you can get 2 Plaza Level Tickets for $99 or 2 All-Inclusive Tickets for $199. The tickets are for February 12th or February 19th. Use the code: VALENTINE for the discount.